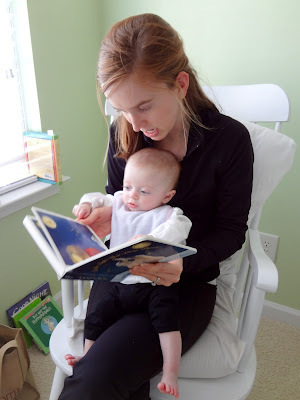 Having spent many of my working hours pre-Caroline in a preschool classroom reading book after book I knew that reading would be an important part of my parenting style. Caroline first discovered book at 2 months old when I, in an attempt to entertain her in between naps, pulled out Dr. Seuss' ABCs. She's been completely mesmerized by the book ever since. I started working on a list of favorite children's books before Caroline was even born (based off the books I read to my class). Now that list is growing rapidly as I discover more books with Caroline (and yes, many fails that don't make the list). 2) The Day the Babies Crawled Away by Peggy Rathmann, such a fun book about a little boy who saves the day when the babies crawl away from the town fair chasing after butterflies. 3) The Belly Button Book by Sandra Boynton, Hippos and their appreciation for their belly buttons...or as they say "bee bo"! Lots of silly fun. 4) It's Time to Sleep My Love by Nancy Tillman, beautiful pictures and a beautiful bedtime lullaby in story form. 14) The Duckling Gets a Cookie? 16) Mr. Brown Can Moo, Can You? 20) Tumford the Terrible by Nancy Tillman, a fun book about a mischievous cat learning to say "I'm sorry"
Oh, and in case you're wondering in these pictures Caroline and I are reading On the Night You Were Born by my favorite children's book author Nancy Tillman. 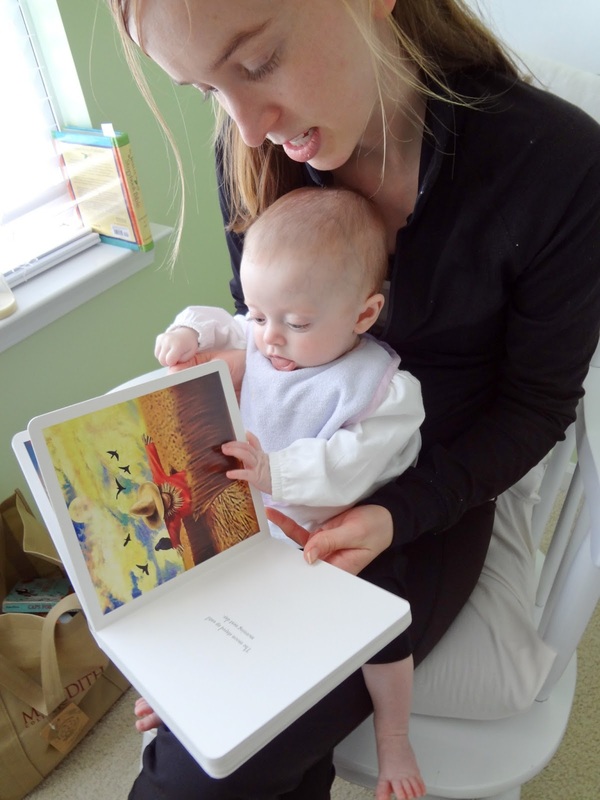 What are some of your favorite children's books to read to your child? Oh, how sweet! I love these! We LOVE Dr Seuss' ABC book in our house too (along with a few of the others on your list). It has actually been so well loved we're on our 2nd copy! You have to read my post! Nancy Tillman is our favorite author and I did a link up with Kelly in 2010 when she did this same Favorite Children's books and in January Nancy Tillman's Freelance got a hold of me and had me send one of our books of hers to her to be personalized for K. You will have to read the back story of it all but it's pretty amazing! I love all her books and the messages that you are the one and only ever you and you are loved and well I just love her! I love Good Night Moon too a lot! What a great list. K is in Kindergarten now and I am so happy I have some friends who are teachers because they give us a good list of books to read to her. She is in Kindergarten and she is reading on a third grade level! Love your blog and your daughter is just precious! We love Chicka Chicka Boom Boom at our house! You've got some great books on this list. Thanks for sharing. Hi! found you on a linkup! I’m a new follower! I used to have to go to Sam's Club to buy big bulk diapers but now I can have them sent right to my home for free! Also the price is great because I get more for my money. At Sam's I could only buy a 144 pack of diapers for the same price and now I can get 180 diapers online. Trust me you can't go wrong with honest diapers!